Cuban ethnographer and writer Lydia Cabrera (1899 Havana — 1991 USA) compiled a 530 page dictionary of Abakuá language, originally published as La lengua sagrada de los Náñigos (Miami: Ediciones Universales, Colección del Chickerekú en el exile, 1988). We are translating this work as The Sacred Language of the Abakuá, with translation and annotation by Patricia González (Director, Smith College), Victor Manfredi (Consultant, Boston University), and Ivor Miller (Consultant, University of Calabar, Nigeria). The annotations have new linguistic information about African sources, with further explanations from living Abakuá members, and are clearly distinguished from the translation of Cabrera’s own words by appearing indented and in a smaller, contrasting typeface. 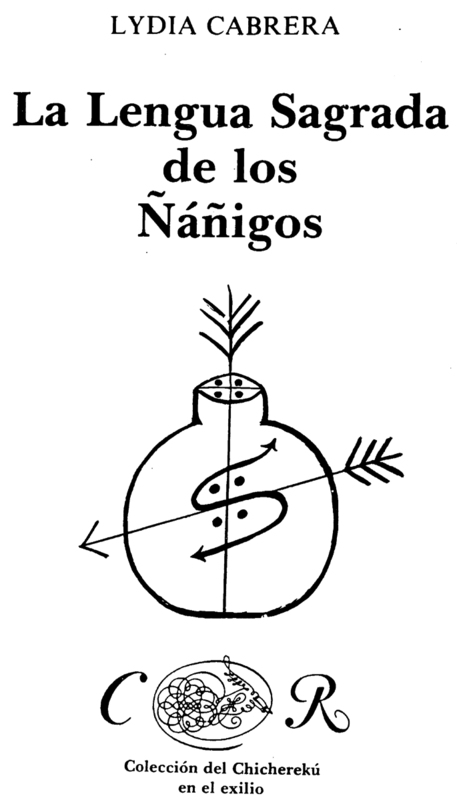 Because the term ‘ñáñigo’ is perceived as pejorative by contemporary members of the Abakuá society, and because Cabrera had two possible titles for her book — the second one using ‘Abakuá’ — the translators have decided to replace ñáñigo with Abakuá in the title. The following report has a list of 20 entries in the Cabrera dictionary that document place names and vocabulary from the indigenous languages of the port of Calabar and its hinterlands. We offer this as a sample of the rich African Diaspora material in Cuba. This project is supported by the National Endowment for the Humanities through a Scholarly Editions and Translations Grant (2015-2018).